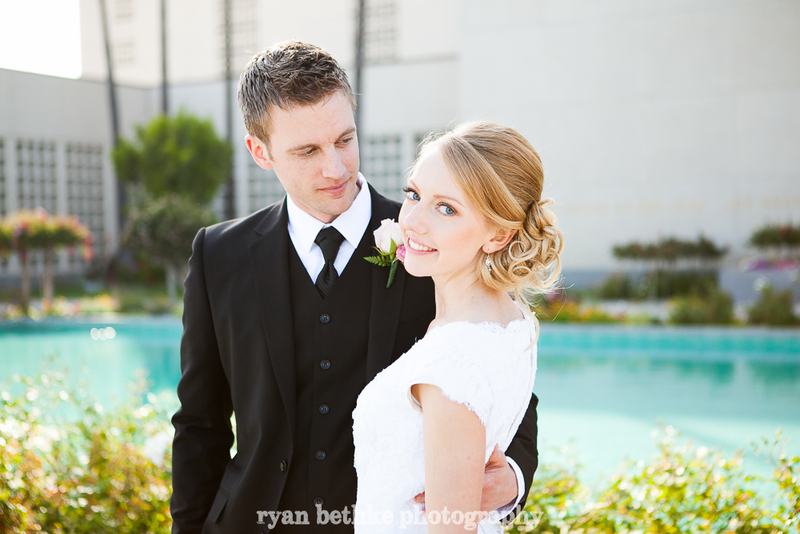 Sam and Stephen had a private ceremony at the gigantic Latter Day Saints temple in Los Angeles, after which they asked me to come and photograph family and couple formals, and the following reception. The grounds around the temple are absolutely beautiful, and I thoroughly enjoyed shooting there. The reception was wonderfully informal, with a live band and plenty of epic dancing. Kudos to the lovely couple, and congratulations! Enjoy this selection of some of my favorite images from the day.